#74 – A challenging day? Or a piece of pie! 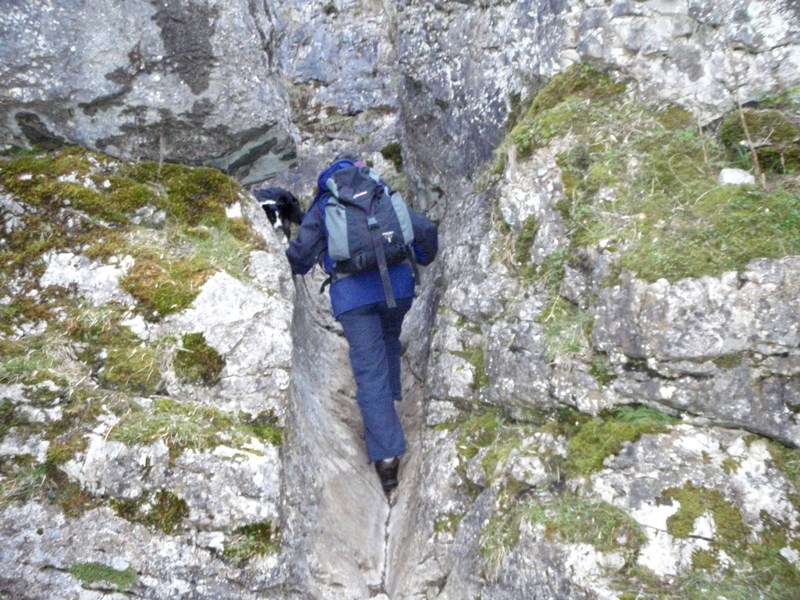 Sometimes a day in the mountains turns out to be more challenging than expected. 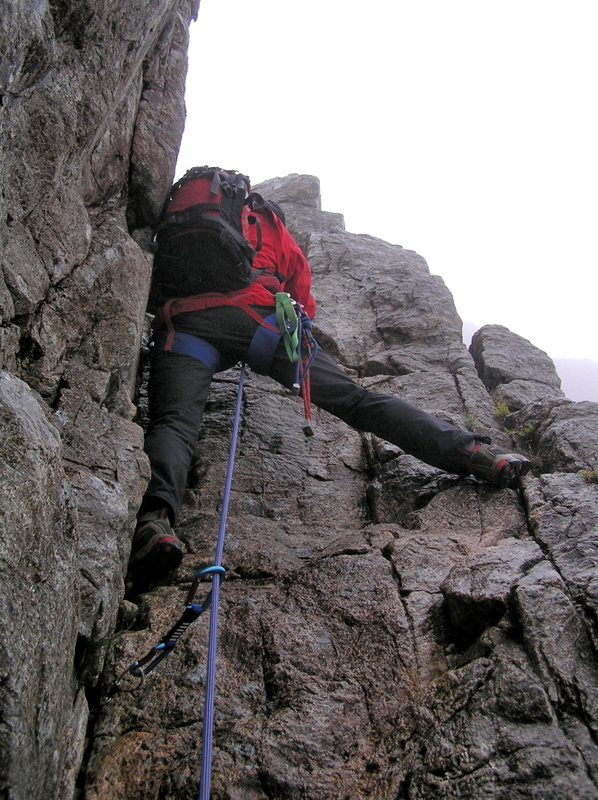 The weather changes unexpectedly or the rock on a scramble turns out to be wet and greasy. 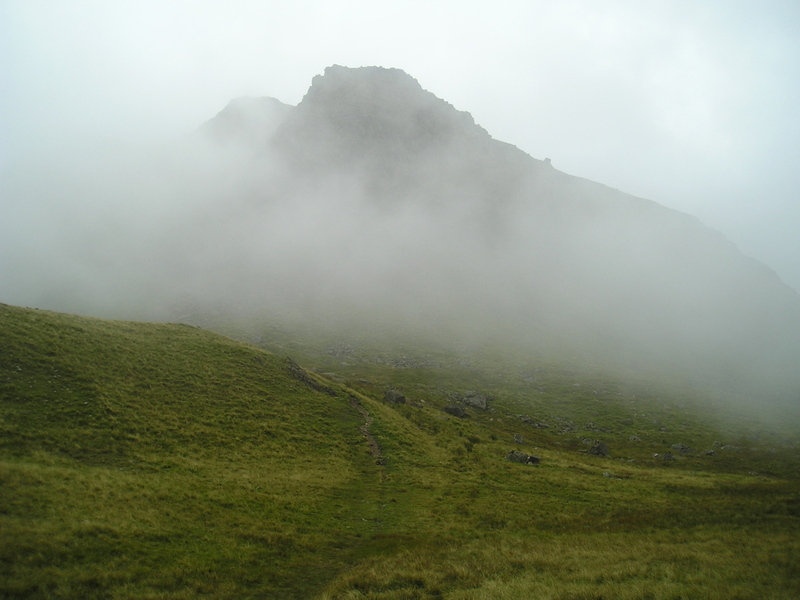 The mist is more of a problem than expected, and the GPS that could have saved time is in the wrong rucksack, 250 miles away. The path that is usually ice-free this time of year isn’t (ice-free, that is!) Etc. Yes, I’ve had all these things happen, and what’s more I’ve had them happen over the past couple of years. If the truth was known, these days are the interesting days, the days with that extra bit of spice! On the other hand, things quite often go exactly as expected, without any drama or derring-do. So, those who have come here this week expecting blood and thunder are out of luck! 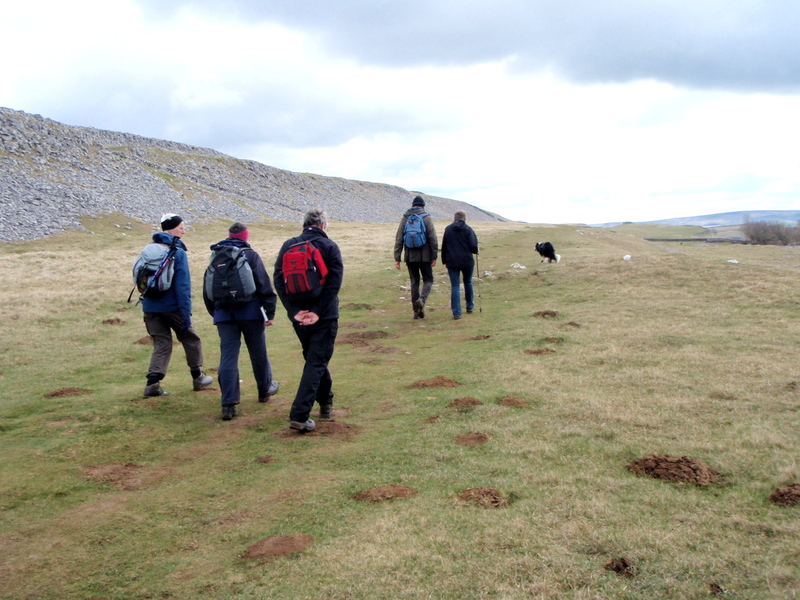 I’m not a ‘clubby’ type of mountaineer, but we sometimes walk with a group of friends from the Bradford area. As well as being in good company, it also means I can play the ‘incompetent’ card, and let someone else do the navigating! 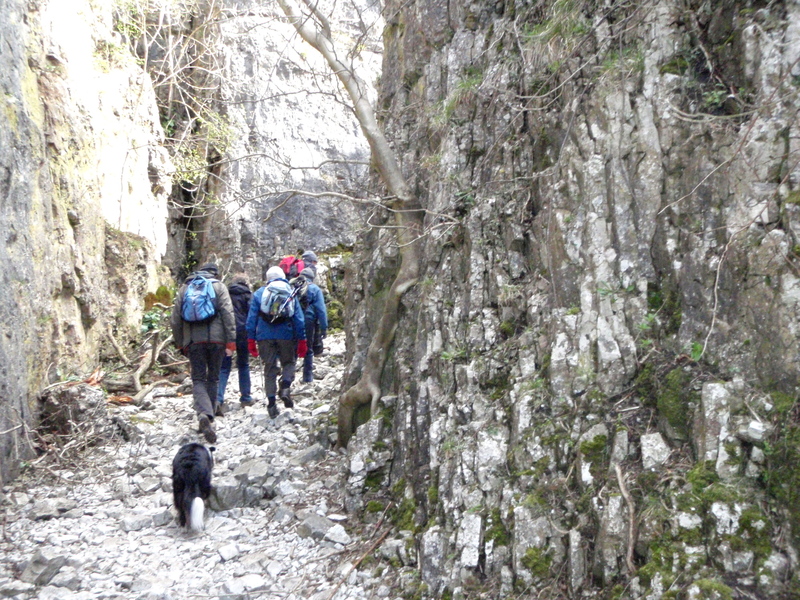 The narrow, water-worn section …. 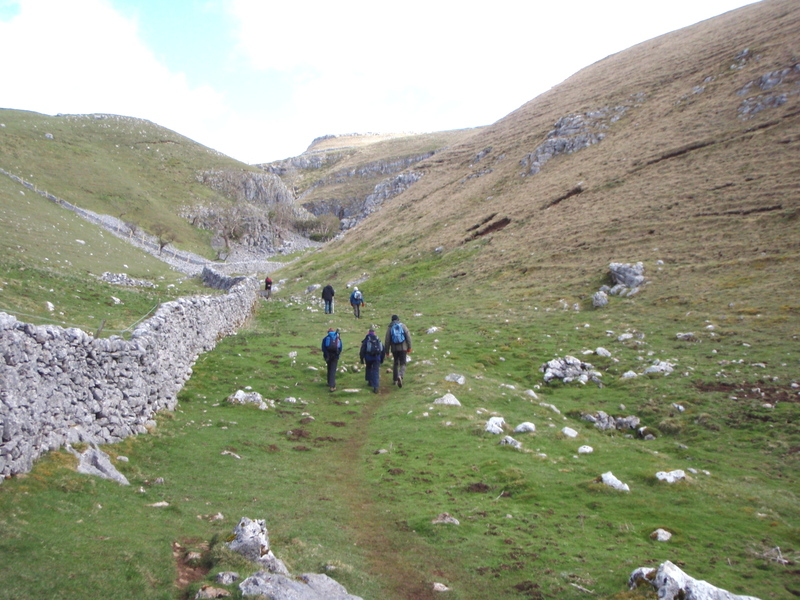 Except, on this occasion I couldn’t get away with that ploy, as our route up the narrow limestone gorge of Conistone Dib is a route I’ve walked several times. It’s always a delight, though, and at the narrow water-worn section near the beginning it’s easy to imagine a wall of water thundering down the gorge! The wider section of ‘The Dib’ …. 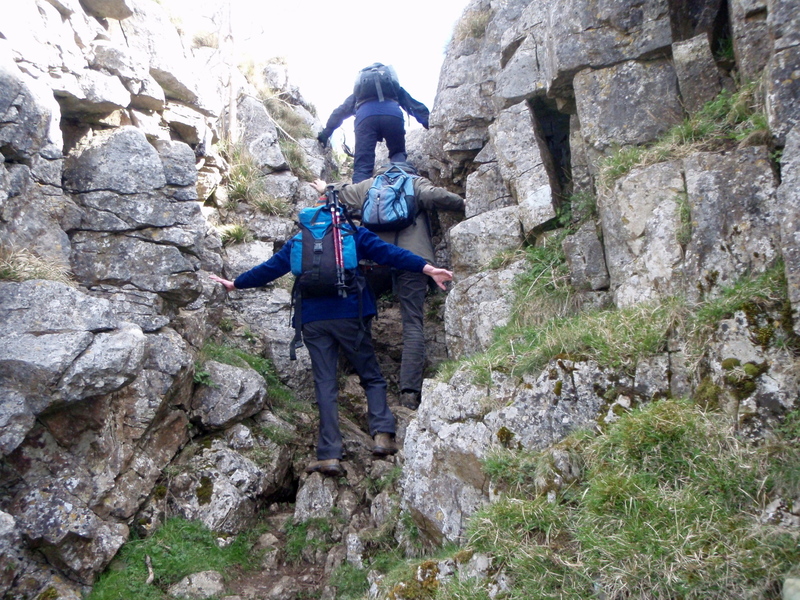 The narrow ravine at the beginning soon opens up into a wider valley, but to stop people getting too complacent ‘The Dib’ finishes off with a final 5-metre rocky scramble – enough to raise a smile, but not your blood pressure. 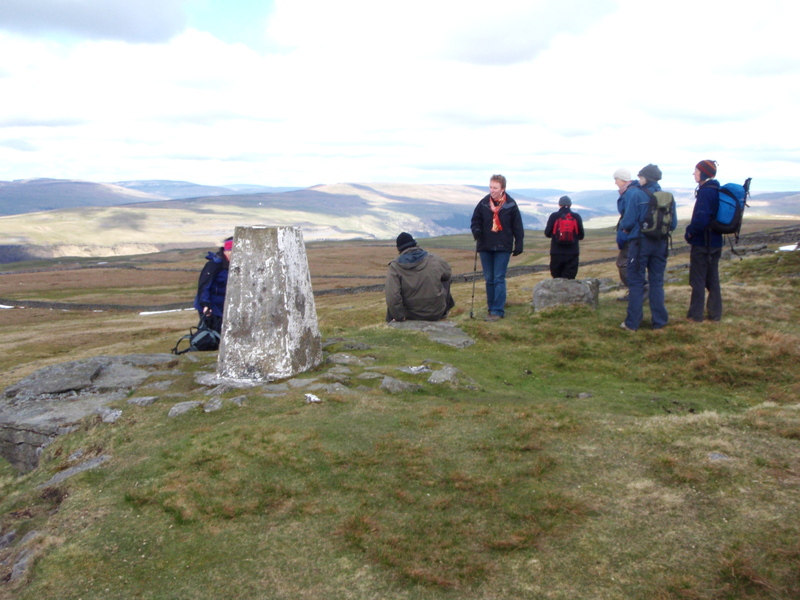 We continued up Conistone Turf Road to Capplestone Gate, where there is an Ordnance Survey trig point and …. err, would you believe a gate?! 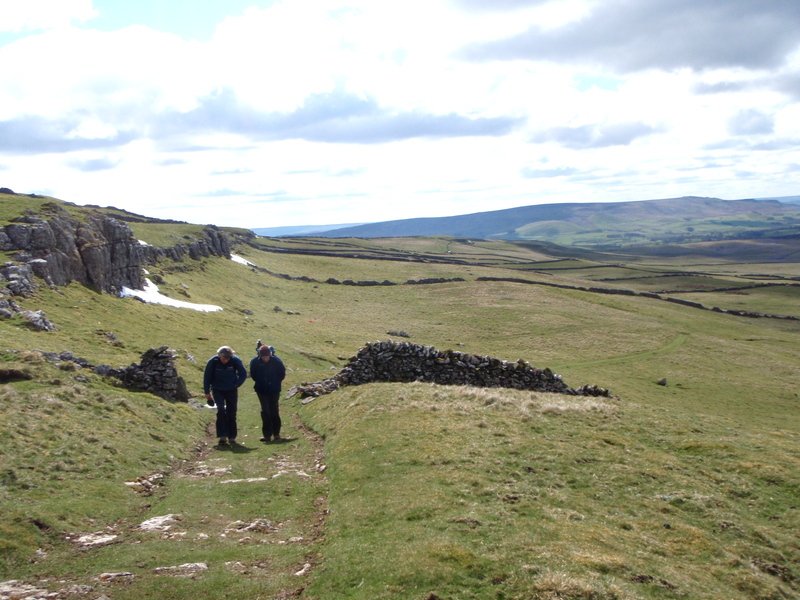 (There might be a clue in the name) It’s also a good viewpoint for looking towards Upper Wharfedale. 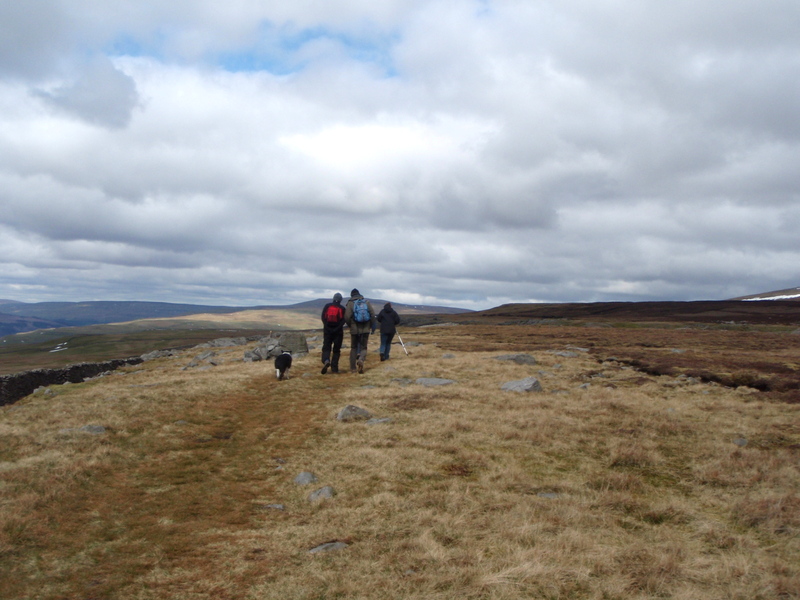 We had the visibility for the view, but the wind was a cold easterly, what they call in Yorkshire a “Lazy wind” – it can’t be bothered going round you, so it goes straight through you! The cold wind didn’t encourage a long stay at Capplestone Gate, so after a wander through old mine workings we headed back down to the valley, following the grassy track of Highgate Leys Lane. As we joined the Dales Way we came across a ewe lambing – ‘Mist’ behaved perfectly and went into a long ‘stay’ as the farmer gathered up his two new lambs, one black and one white. 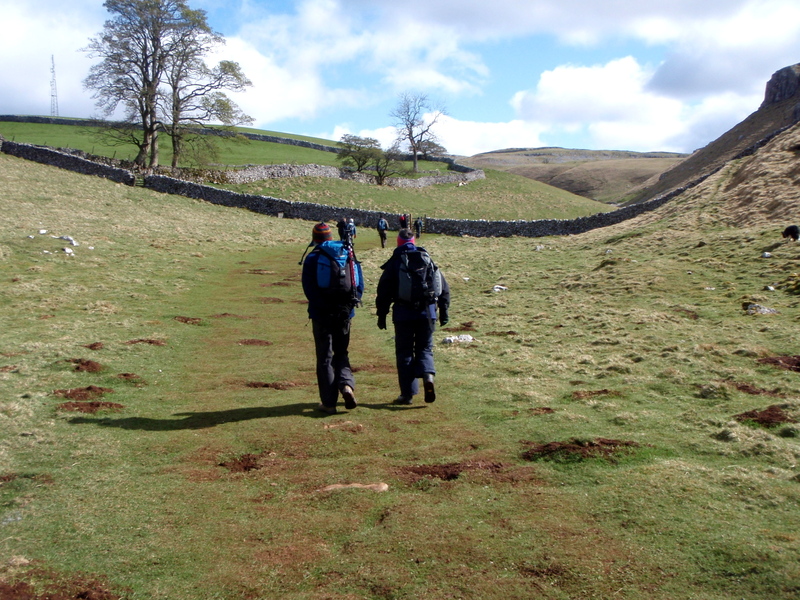 On the Dales Way, heading for Conistone …. 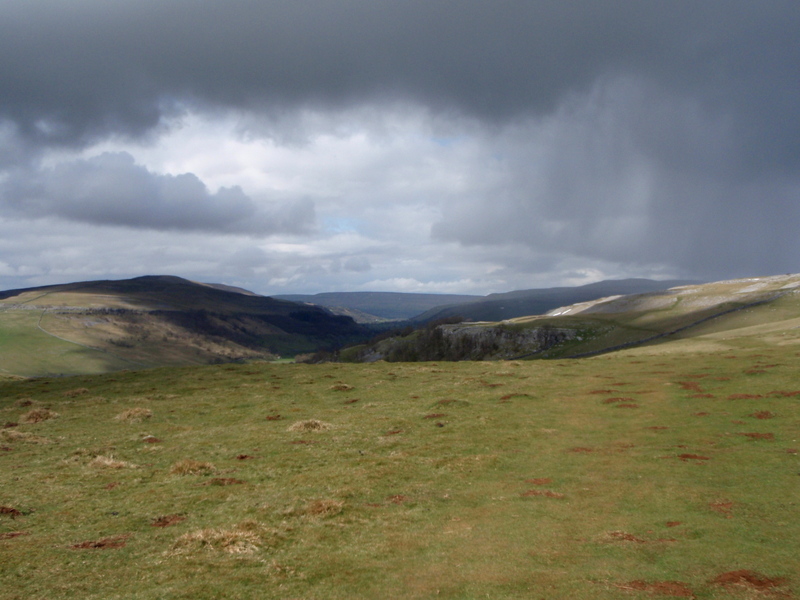 Lambing over, we followed the Dales Way back towards Conistone, followed by glowering clouds. It was starting to look like a race, but who would win, clouds or us? 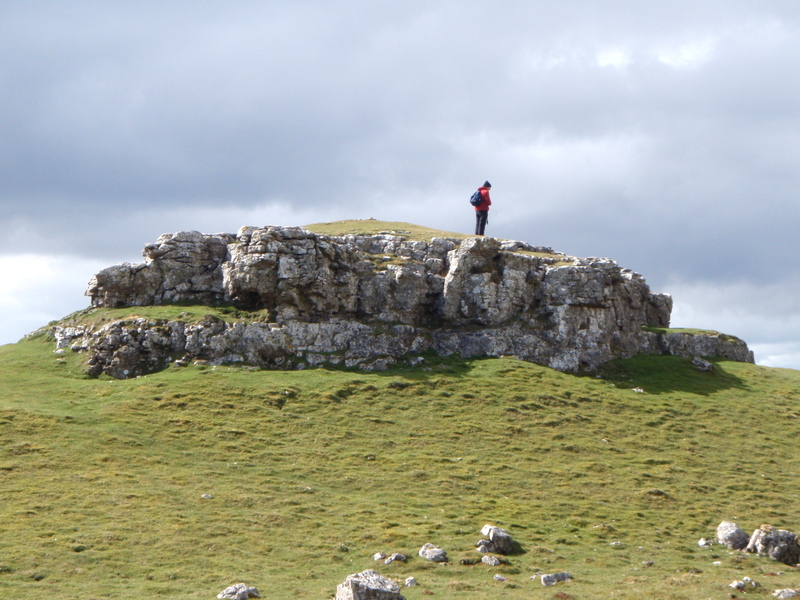 It was in the balance as we passed the curious looking limestone outcrop of Conistone Pie. Have a slice of pie, then! 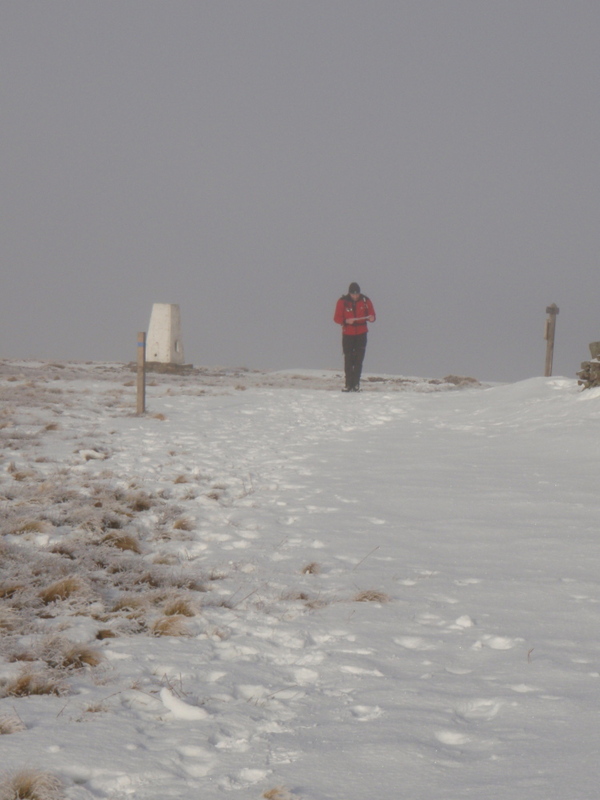 Soon after that, the question of whether or not those clouds would catch us out was resolved – The weather couldn’t decide if we should have rain or snow, so gave us a bit of both. 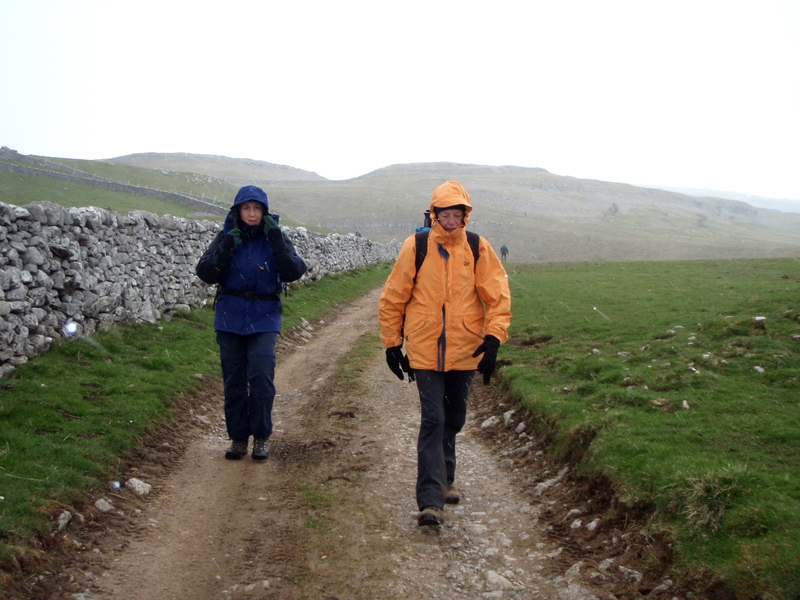 The thought of the Tennants Arms pub waiting for us at Kilnsey meant that we didn’t really care. This entry was posted in 3. 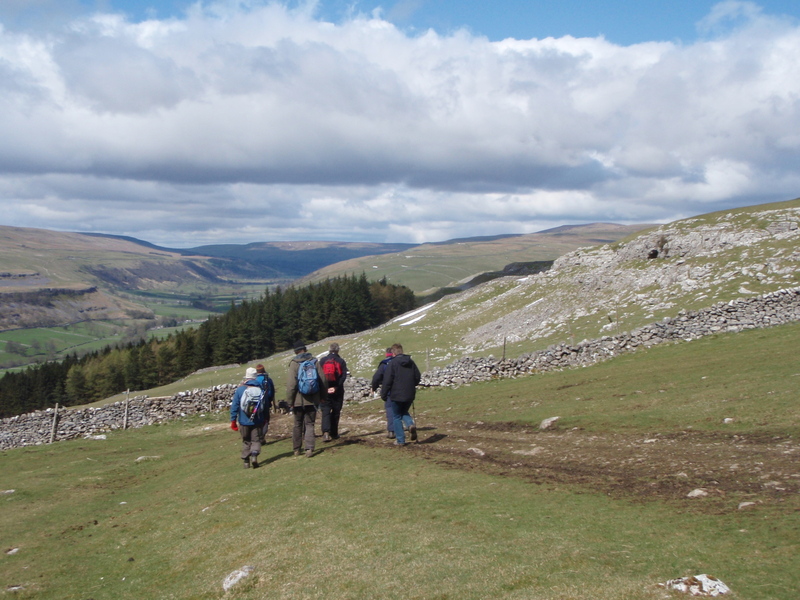 Yorkshire Dales and tagged hillwalking, photography, Wharfedale. Bookmark the permalink. 9 Responses to #74 – A challenging day? Or a piece of pie! 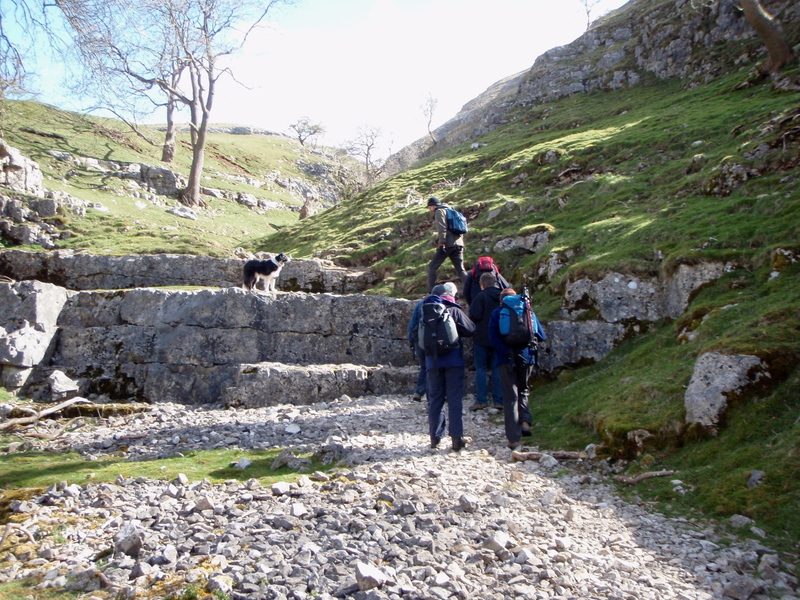 Haven’t done Conistone Dib before, looks well worth the trip. Something to put on the list for later in the year perhaps! 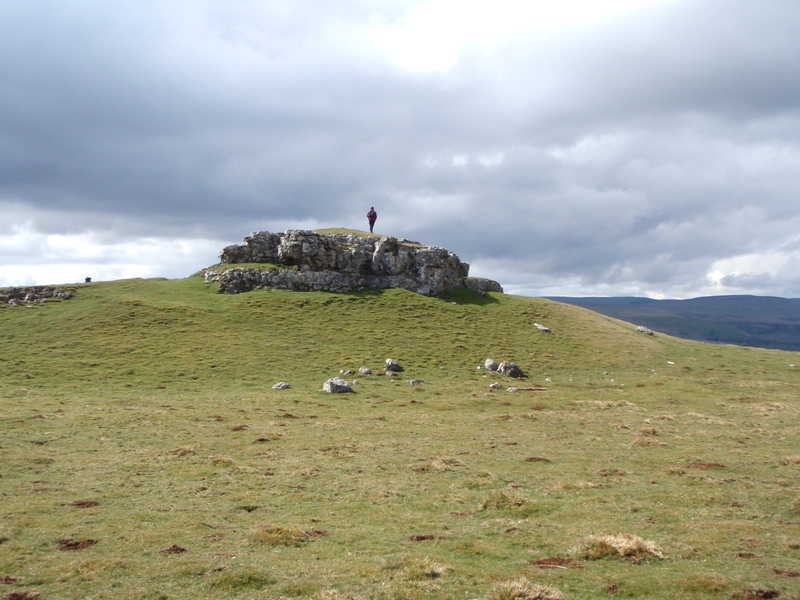 It’s possible to extend the walk featured if you want a longer day, but ‘The Dib’ is one of those curiosities that you will remember! The ‘Pie’ is another one. Like Chrissie, I haven’t walk this one, but it looks a fine route. I would put it in the ‘short but sweet’ catagory, though there are ways to extend the route to make a good day of it. excellent! 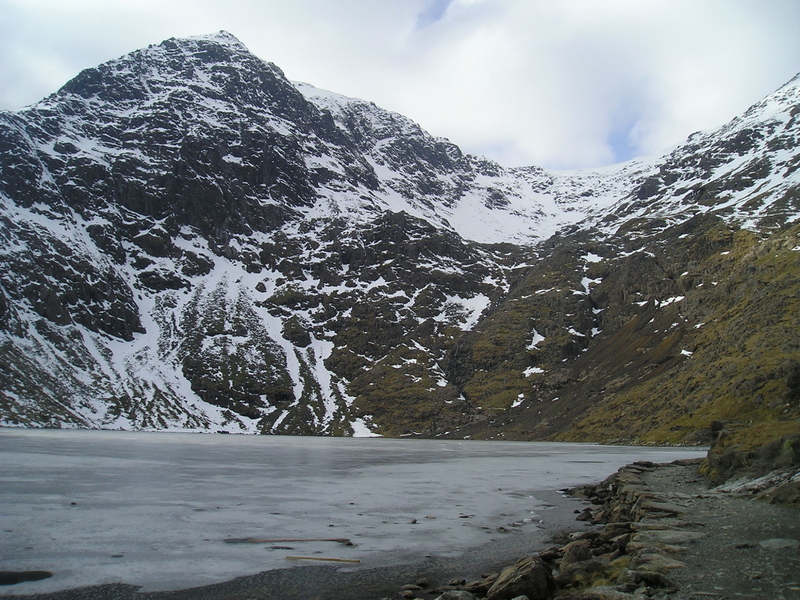 it is years since I have been up Coniston Dib (last time there was a huge white bull in one of the fields – it saw me but fortunately ignored me – but still scary nonetheless). Your blog makes me want to run out of the office in Leeds, grab boots and camera and head out – to face the consequences later! Great photos and a great blog. Cheers and thanks for that. I’m looking forward to seeing some pics from you if you do go over there – you have a talent for getting the best out of a view!